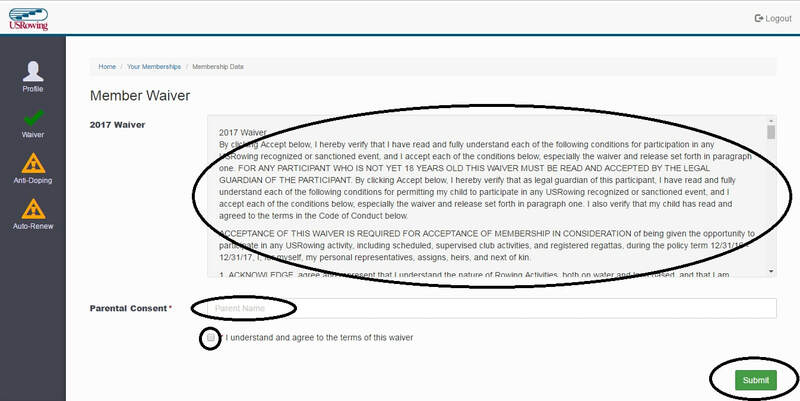 Please log into the Rower's USRowing account and Sign the Waiver. Click the link to navigate to the USRowing website. "USRowing Website Link"